New editor of the Daily Express, Gary Jones, has said he “doesn’t want the paper to be offensive to anybody” as he settles in at the title having made some obvious front page changes. 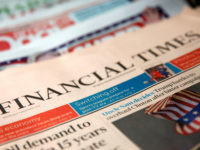 Jones took over the reigns from Hugh Whittow on 2 March following Trinity Mirror’s acquisition of Express Newspapers from Northern & Shell the month before in a deal worth £126.7m. The former Sunday Mirror and Sunday People editor told Press Gazette: “I grew up reading the Express as a child and it’s probably the reason why I came into newspapers”. Besides changing from a weekly to a daily print routine, Jones has also crossed the political divide from left to right editorially speaking. Jones said he doesn’t have a personal agenda as editor and believes it’s more important to “give the readers what they want”. Despite this Jones admits “there have been some changes” at the Express, “because it’s bringing my perspective to what the newspaper is about”. 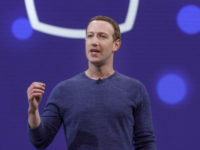 His influence can already be seen on the paper’s front pages, opting for poster-style picture covers and broadening the variety of issues covered. Under Whittow the Daily Express had been criticised for rarely deviating from stories on healthcare breakthroughs, the royal family, Brexit and the weather on its front pages. 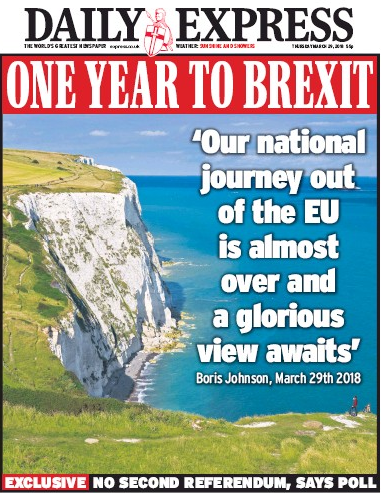 Over one month, from 1 February to 1 March, 2018, the front page of the Daily Express (excluding the Sunday Express) featured a story on Brexit, the weather, or health 83 per cent of the time, according to Press Gazette analysis. In the two months following Jones’ appointment on 2 March (up to 2 May) we found only three front pages that featured headlines on Brexit or the weather, with 71 per cent of splash stories covering other news topics. Jones said: “I think every editor wants to bring their own judgement as to what is the best story of the day. Last week Jones told the Home Affairs Committee, which is investigating hate speech in the media, that the Express had created an “Islamophobic sentiment”. He told MPs: “I’ve gone through a lot of former Express front pages and I felt very uncomfortable looking at them. “Individually they may not present specific issues, there have been accuracy issues on some of them and some of them are just downright offensive and I wouldn’t want to be party to any newspaper that would publish such material. Talking to Press Gazette, Jones said: “What I was giving in front of the Select Committee was my personal view and my reaction to that kind of content. “Immigration is an issue and one that is important to Express readers, but I don’t want the Daily Express to be offensive to anybody – not immigrants or any kind of religion. Jones has stated that the paper will maintain its support of Brexit under his editorship. The takeover of the Express is still under scrutiny with Culture Secretary Matt Hancock issuing a Public Interest Intervention Notice on the grounds of media plurality and free expression. Jones said of the deal: “I can’t speak of what might be because I don’t know. He also confirmed that there have been no editorial changes as of yet. Jones has already been tested under his short tenure and took the decision to apologise over a comment piece published on the Express website, which implied trouble followed Liverpool fans around. It came after an outbreak of violence ahead of Liverpool’s Champions League match against Italian side Roma last week in which a Liverpool fan was seriously injured. Two Italian men have been charged. Jones said: “I’m a Liverpool fan and have campaigned on Hillsborough for the Mirror for a couple of decades or more. I thought the view was abhorrent and it’s so obvious it should never have been written or put online. The journalist who wrote the piece is currently suspended. 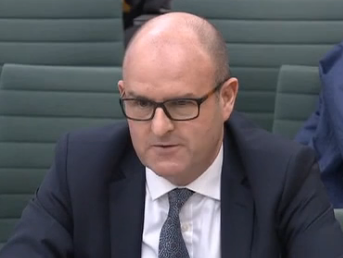 As the new editor, Jones said part of his remit was to “get the Express more talked about and for people to buy into not just print but online as well”. Its circulation figures stand at 357,183 copies, down 8 per cent year-on-year. Jones said he hopes print media “survives and flourishes” in the face of industry-wide decline in circulation and profits. “We have an incredibly vibrant press [in the UK]. I think the Guardian story on Windrush is incredible journalism and I’m still very proud to say I work in this industry,” he said. 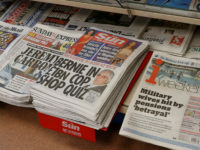 Following its takeover of Express Newspapers, Trinity Mirror owns four national Sunday newspapers: the Sunday Express, Daily Star on Sunday, Sunday Mirror and Sunday People. Amid speculation at least one of these could face the axe, Jones said the People, his former title, is a “really strong newspaper”, adding: “It makes a considerable amount of money and it has a loyal readership. 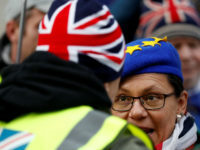 Media commentator Liz Gerard, who has been critical of The Daily Express’s stance on immigration in the past, said Jones’s appointment was the “best news for the media this year”. “This is the start of rebuilding what was once a really great newspaper,” she said, but acknowledged that Jones faced a difficult task. 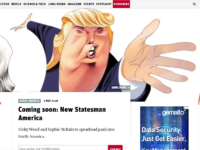 “The new editor has to tread the line of bringing new people in and breathe life into the paper, but he’s also got to not scare off the current readers. In any case, this is just a very important topic which involves so many people. Thanks for covering it. So you need to be favour cons, THATS NO SURPRISE AS I ASSUME MANY TOP FIRMS INVOLED IN THE CORRUPTION THATS RIFE AMONG NOT ONLY MPs, BUT ALSO COMPANIES WITH FAT CATS ALL ROBBING THE COUNTRY WANTING IMMIGRATION INCREASED CHEAPER WORKERS, MORE PROFIT I FIND IT DISGUSTING AND TO SUPPORT IS SICK,, YOU HAD CHEEK SAY NOT WANT PEOPLE OFFENDED WELL IN AGAINST OPEN GATE POLICY MORE AID TO COUNTRIES THAT WE SUPPORTED OVER 50 YEARS, NOW ELDERLY, GENUINE DISABLED EX VETS BLED DRY OR LEFT ON STREETS, POLICE NOT IN CONTROL. IMMIGRANTS ROBBING NHS. BENEFITS, GET PRIORITY OVER OTHERS AS MOST CITY TOWN LOCAL GOVERMENT OVER TAKEN, LAW ALTERED ALLOW ABUSE ANIMALS KILL IN INHUMANE WAY, BUT IN BRITISH SLAUGHTERHOUSE HEAVYILY MONITORED, THEN THE GOVERMENT CUT EVERY THING TO BONE DEFENCE, PROTECTION, LOOK AT WAY KIDS NOW GROOMED, LEGAL SEEMS TO ME. AS FOR CALLING THE GMB POLITICAL EDITOR AS SINGH SHE HAS PROPER NAME AND IT JUST MANNERS TO USE IT. PIERS MORGAN HE JUST SAYS IT AS IT IS. HATED FOR HIS HONESTY, BY MPs. THE MEDIA, THE NEW FEMALE STUPID REQUESTS, IM 66 like many put in to reach pension then find state pension used by immigrants who have never put in, awarded extra money, whilst BRIT die on streets, old, DISABLED got choice eat or heat. I am stuck in annexe some 11×11 in bed mostly not out choice, my wife battle cancer but not as important as droves immigrants invade. RACIST NO I JAMAICAN GRANDKIDS AND WE 1 MIX RACE WHO WE TOOK ON AT 12 HOURS OLD. Indian, Pakistani polish people I get on with, BUT ITS NOT A SECRET I FIND BITTER TASTE AT WAY MUSLIM TAKING OVER ITS A TOTAL DISRESPECT OF MILLIONS WHO DIED IN WW1 and WW2 and still are for the time we in control not seen THE NEW THIRD WORLD and the laughing stock of the world. ….? Let’s see if like other media get into hiding ignore a reply but it shows not only lies and contempt for public I from family 12 thankfully bought up with morals not dragged up thinking superior ..